Innovern Solutions - Core vs Xeon: Which Intel CPU should you choose? Innovern SolutionsTech BytesTech BytesCore vs Xeon: Which Intel CPU should you choose? Sure, you are usually tied to what you want to do in the first place but it is not clear cut, especially as the introduction of new, cheaper Xeon processors has made it more attractive to gamers. For the sake of simplicity, we're not going to cover laptops or embedded models, focusing instead on the desktop and server models from the latest generation. Xeon processors tend to be more expensive than core ones with a few notable exceptions though. The lower-speed Xeon E3 are as affordable as some Core i5 processors which make them attractive options for some niche markets (for example mobile workstations). Serious gamers might baulk at them because Xeon processors tend not to be very overclockable. But here's the kicker: there is a massive second-hand market for Xeon processors, especially on eBay, which are far cheaper than the equivalent Core models. Xeon motherboards are usually more expensive than their core counterparts. This is particularly true if you are looking for dual-socket models that take only Xeon CPUs (E5 and above) and can support more than 128GB memory. There are exceptions though as we've seen a few models from Asrock and Gigabyte costing far less than £50 but only compatible with E3-1200 v3 series. Historically, Xeon processors haven't put a lot of emphasis on integrated graphics. That's because as server or workstation CPUs, they're expected to rely on external video resources. As such, only the low end Xeon CPUs have processor graphics, the P530 or the Iris Pro P580. Compared to their Core cousins, these graphics parts are certified by some ISV (independent software vendors) which means that they have some serious firepower if you plan to do serious content creation. All Xeon E3 series and almost all Core CPUs support up to 64GB. Skylake-based Core i7 Extreme Edition models go up to 128GB and the rest of the Xeon family supports more than 1TB of memory. Gaming won't require that much memory as the bottlenecks are likely to be graphics or CPU-based. But anything else, content creation, simulation, number crunching and so on, will benefit from as much RAM as possible. Speed is probably one of the least valuable metrics especially since Intel introduced Turbo Boost which allows the CPU clock speed to dynamically change depending on the workload. Clock speed and Turbo boost is usually tied to power dissipation; the lower the thermal power dissipation (TDP), the lower the clock speed. Higher TDP models usually tend to have higher turbo boost capabilities. Cache is a tiny amount of memory placed directly on the processor die itself. The more the merrier although its impact on performance will very much depend on the tasks being executed. All Core processors come with 8MB cache or less; Extreme edition models can carry up to 25MB while Xeon E7 CPUs top 60MB. When Intel found out, about 11 years ago, that just increasing the processor speed wouldn't bring much performance improvement, they decided to increase the number of cores instead, increasing that over time to four cores for the Core family (10 for the extreme edition) and 24 for the Xeon family. More cores allow for more work to be performed at the same time although this depends on the applications being used. Beyond an increased number of core, one other differentiation Intel put in place was Hyper-threading (HT) which can be best described as the ability to perform multiple tasks at the same time on the same core. One core usually can accommodate one thread but on some higher end models, that doubles to two. In theory, that increases performance – since one physical core spawned two virtual cores but like multi-core, it depends on what applications you use. All Core i7 and Xeon processors (bar the E3-1225 v5 and 1220 v5) have HT enabled by default. All Core CPUs bar the Extreme edition have TDP below 100W while Xeon CPU go up to 165W. In general, the average power dissipation of the Xeon family is higher than that of Core. That allows the latter to overclock more easily, especially when provided with adequate (and ample) cooling solutions. Core vs. Xeon: Which one should you choose then? It will depend on your needs and your budget. The E3-1230 v5 (4C/8T, 8MB cache, 3.4GHz) costs far less than a fourth generation Core i7 CPU (4C/8T, 8MB cache, 3.5GHz). And generally, you should be able to get more cores for your money if you go the Xeon way. Two Xeon E5 with eight cores each and a motherboard should cost you far less than a 10-core Core i7 CPU on its own. 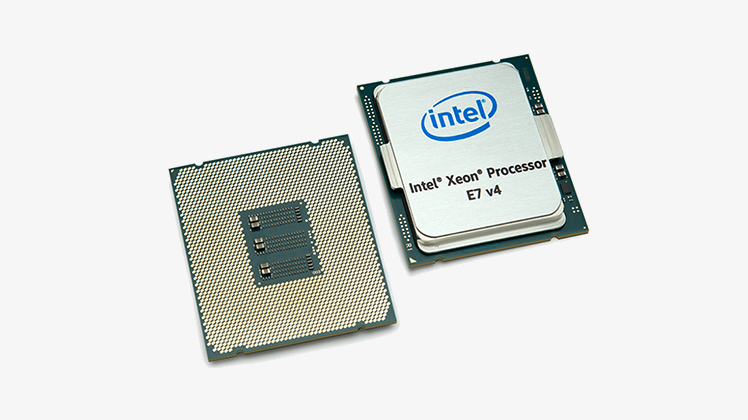 Xeon processors therefore makes sense if you're building a new system, not so much if you're upgrading from an existing one or planning to overclock your system from the onset.